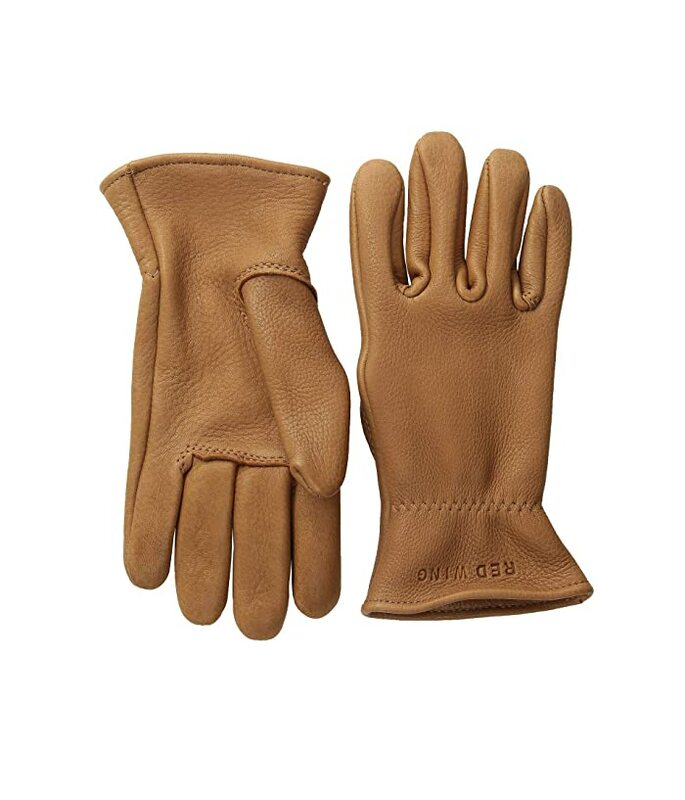 The brand recommends purchasing the gloves slightly snug, as the chrome tanned leather will stretch slightly to create the perfect fit over time. Experience warmth and premium construction with the Red Wing Heritage® Unlined Gloves. The gloves are constructed from soft, buckskin leather with a short cuff. Features include a double layer of leather with multiple lines of stitching to reinforce areas of major wear. Elastic wrist with a logo stamp. Designed for maximum comfort with Gunn Cut Palm Pattern and Key Stone Thumb construction.